With a proven ability to collect accurate representative samples, maintain bioreactor sterility and generate real-time product quality data, the MAST system is the result of a focused five-year development program in collaboration with ten of the world’s largest pharmaceutical companies. The bioprocessing industry requires a reliable system for transferring samples directly from bioreactors to analytical devices while maintaining process sterility. That’s why Bend Research, a division of Capsugel, has developed the MAST platform. 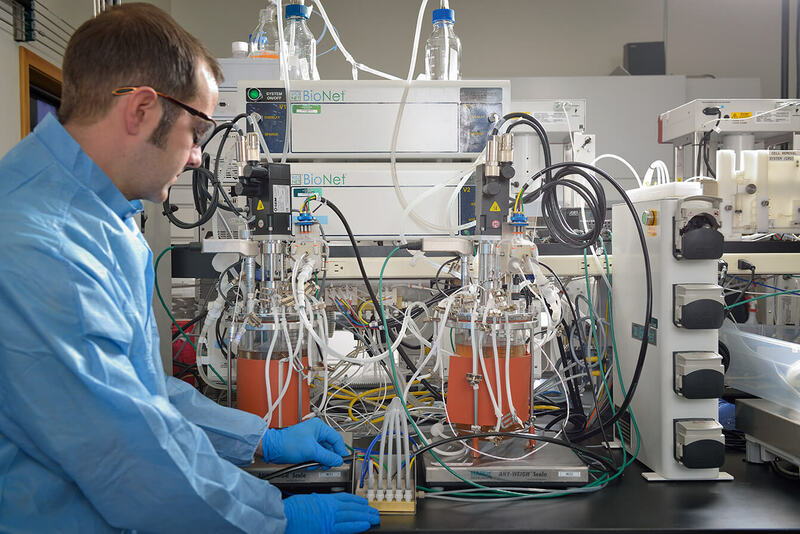 This automated, aseptic bioreactor sampling system for development and commercial scale applications enables optimized sampling of media, cell, and product-level information. The MAST platform has multiple modules and can be easily adapted to your specific requirements and existing technology. With its modular design, the MAST platform can be installed to meet your most basic needs and can be readily expanded as your application evolves. For example, the most basic system – what we call the MAST Core – can collect samples from one bioreactor or other source and deliver that sample to one piece of equipment, such as a Nova BioProfile FLEX, MAST Cell Removal System, or a Gilson Liquid Handler. The MAST team will partner with you to install an auto-sampling system that meets your specific needs. Communication is at the heart of this process, with regular discussions to clearly define your requirements. We build your systems here and test them before shipment. You are welcome to visit us during this time as a training opportunity. We follow up with professional installation, full system testing, and personalized training. Where Have MAST Systems Been Used? 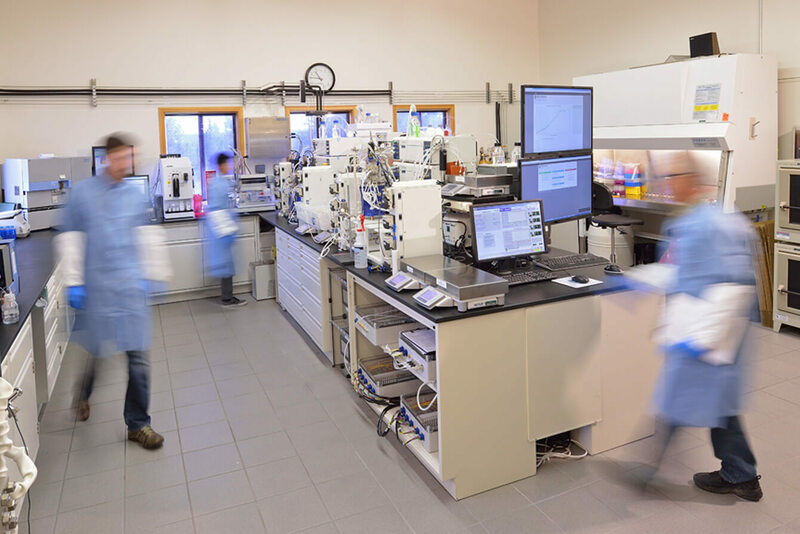 Sample Pilot SP100 and SP200 units have successfully been used to collect and deliver cell culture samples from 1-liter development scale bioreactors to 500-liter stainless steel bioreactors to 2,000-liter single use bioreactors. Thousands of samples have been successfully collected from these systems. In two different client applications, the MAST system uses SP200 units in downstream processing steps to draw samples for monitoring of these purification processes. In one application, SP100 units draw microbial samples from multiple 100-liter pilot scale stainless steel microbial fermentation tanks and send those highly viscous samples over 80 feet to a Gilson Liquid Handler. For more information, please visit www.MASTsampling.com or call +1-541-382-4100. Interested in learning more about Modular Automated Sampling Technology (MAST™)? Bend Research, a division of Capsugel Dosage Form Solutions, is offering a webinar that describes how they have created an integrated lab environment that capitalizes on the MAST platform. Read more! With a proven ability to collect accurate representative samples, maintain bioreactor sterility and generate real-time product quality data, the MAST system is the result of a focused five-year development program in collaboration with ten of the world’s largest pharmaceutical companies. Now product quality attribute control is one step closer to reality.